This entry was posted on Tuesday, May 30th, 2017 at 5:05 pm	and is filed under Deaf & HH Teens. You can follow any responses to this entry through the RSS 2.0 feed. You can leave a response, or trackback from your own site. Wow, awesome. 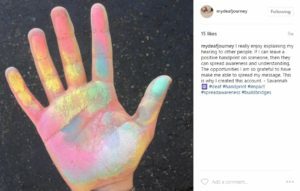 I had a horrible experience being born Deaf/Hard of Hearing. 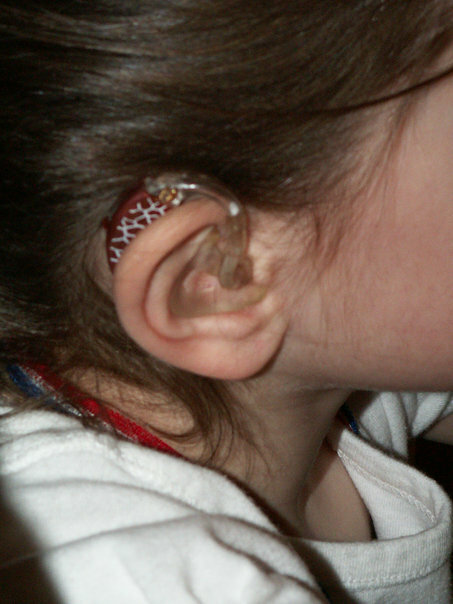 I always felt like an outsider and I was always pathologically shy and that made wearing hearing aids painful. I always tried to cover up my hearing aids with long hair. Only in the last 5 years of my life have I embraced who I am. I’m 44 now. I had started to wear my hair shorter longer than a decade ago, but I still did not be a part of Deaf culture until 5 years ago. When I got my Streamer Pro (https://www.oticon.com/solutions/accessories) in December of 2013, I decided if I was going to wear a box around my chest as a part of my hearing aids I had best get over other people’s reaction. 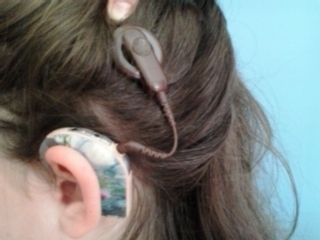 Turns out I love it when people ask me about the box and what it does for my hearing aids. I’ve overcome my fear and have embraced my Deafness. It’s so good to see someone so young taking the bull by the horns. I truly wish I had not dropped out of the school for the Deaf and Blind way back in ’89. Good for you! 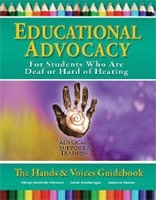 Lets show off our hearing aids and embrace Deaf culture.